Does bringing an Elf on the Shelf into your classroom seem like a hassle you just don’t want to deal with? Let me tell you, you’re not alone. 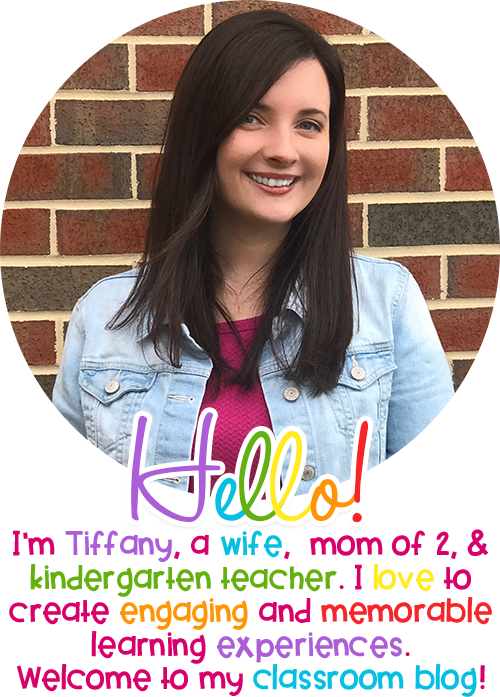 A quick Pinterest search is enough to scare away the bravest of teachers. You have to be pretty brave to allow an Elf on the Shelf into your classroom. It’s already a crazy time of year. You’re trying to keep the learning going strong, while also figuring out parent gifts, holiday crafts, and end of marking period assessments. Not to mention the fact that students are already excited enough. But you’re feeling the pressure, aren’t you? The teacher across the hall has an elf, and your students are wondering why Santa hasn’t sent one to your classroom. I’m here to tell you that you can join in on the fun with little-to-no headache. Here are some tips to make it fun, inexpensive, and hassle-free! Don’t feel like you have to buy the name brand elf. 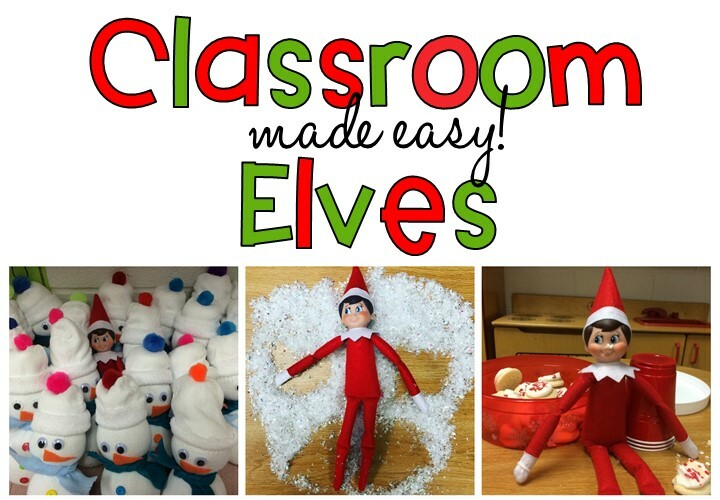 A lot of teachers simply don’t have an elf because of the expense, but are plenty of generic elf dolls out there that work just as well as the thirty-dollar version. You can snag this cute little elf for ten dollars on Amazon. Your students won’t complain, I promise! Skip the hassle of daily notes, crazy props, and fancy outfits. If you want to incorporate these things, more power to you! But they are not necessary and your students will be just as thrilled to look for your elf who has simply moved to a new spot every day. My six year old son comes to school with me every morning, so a fancy set up is not always possible. I enlist the help of my teammate every day, who either moves my elf quickly before we arrive, or who takes my son into her classroom right away so that he can “help” her with a task. If I’m the first to arrive at school, which is rare (because, kids)….I will send my son on an errand of some sort and rush to my room to move him. Point is, my elf is rarely doing anything elaborate, and my students still think it’s the greatest thing ever. Have your students keep a daily journal. I’m gonna give it to you straight. 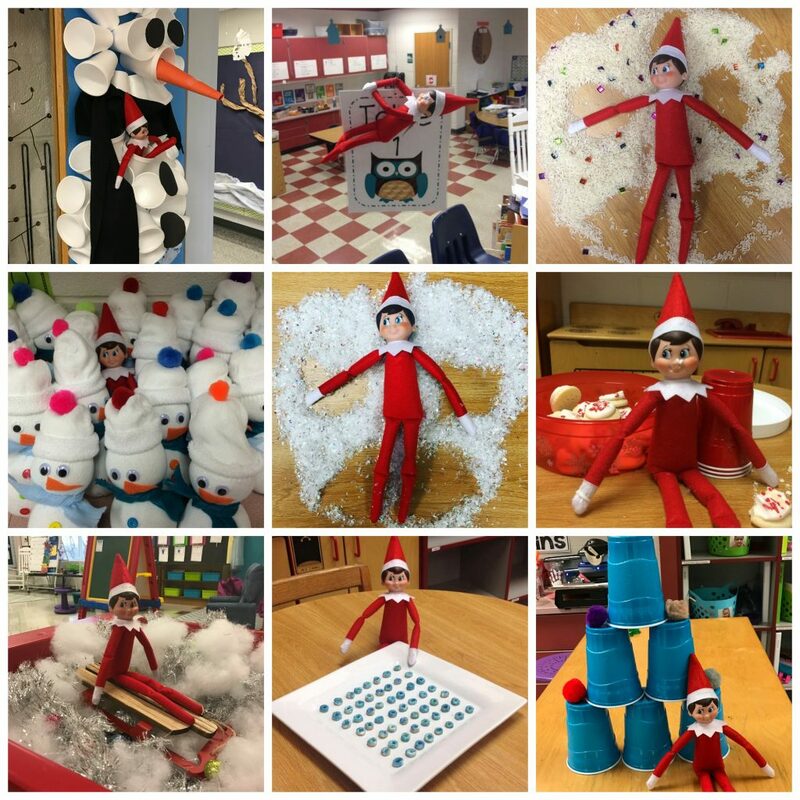 Your students are going to enter your classroom bursting with excitement to find out where your elf is hiding each day. 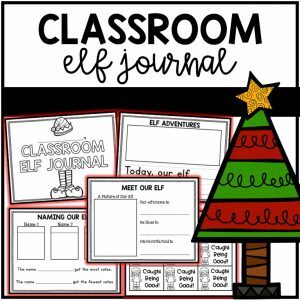 Early morning craziness can set the tone for the day, so I suggest having a journal for you students to work on right after they find your elf. If your students aren’t independent writers yet, they can draw the picture and you can guide them with the writing as a class later. Having a place to record what is happening with the elf is important! 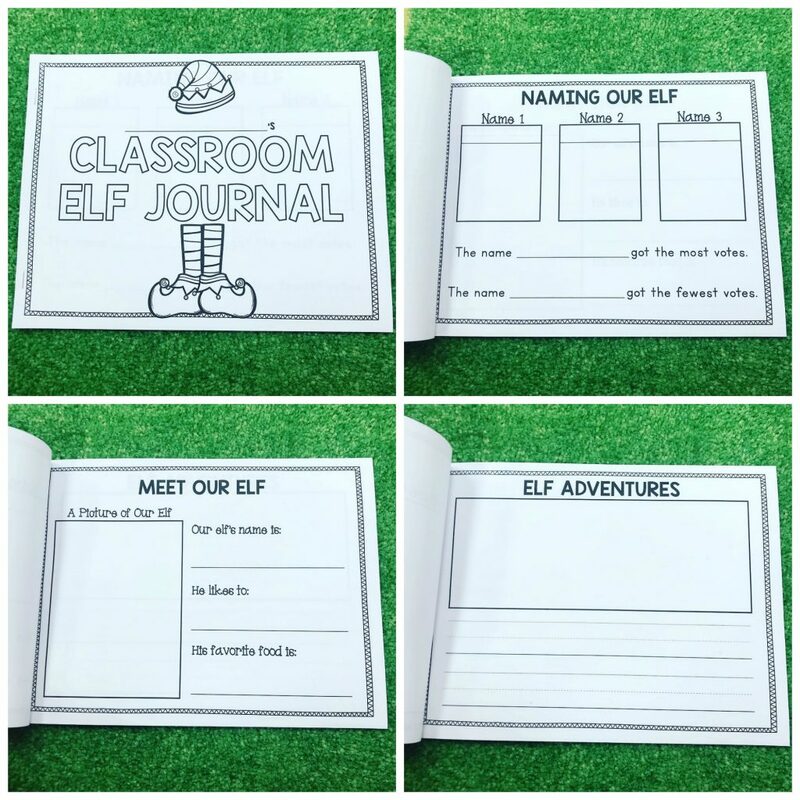 I use this simple classroom elf journal. When the holiday season is over, it’s fun to look back on all of the elf’s adventures. Parents go wild over this every year too! Head to the web for Inspiration! When you are feeling creative and when you have the time, there are so many fun things you can do with your elf! Sometimes it’s best to just embrace the crazy! Check out my Pinterest board for tons of Elf on the Shelf ideas!